I guess that was Scandal’s version of a semi-bottle episode. The most important moments happen when all of our characters are stuck in the White House. Certain moments felt too overdramatic, as though they were meant to be a stage play. The problem is, Scandal’s soapy drama doesn’t make sense in such an urgent context. Mostly, this was a bad episode of Scandal. The conclusion is nonsensical and a lot of time was wasted on topics that are far less interesting than the problem at hand. 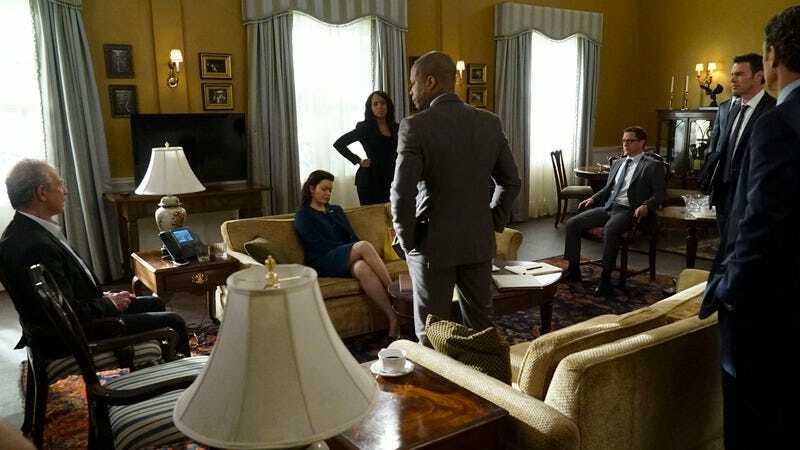 Olitz is back….sort of? The episode starts with them in bed, but Olivia doesn’t seem into it. I hope they stop with this mess soon. Fitz literally just threw out his old black girlfriend and moved on to kissing Olivia in front of her dad? Really? It just highlights how pointless the FBI Director character was. Papa Pope has no reason to be around. Let him leave. Send him to prison. Whatever. He deserves to be punished and there’s literally nothing for him to do. Wow, so…wasn’t B613 created to protect the Republic so hostile domestic terrorism takeovers couldn’t happen? Seems like we could really use B613 right now. I was hoping Papa Pope would remind them of that when they asked for his advice. It’s great that Huck has such wonderful insurance because you’d never even know he was shot and almost drowned in a car a few weeks ago. Before everyone was locked inside the White House, people were talking pretty openly and blatantly in their offices and homes. Even after the Scary New Government made it clear that they had the power to bug places. No one cares about this Quinn, Huck and Charles love triangle. Cyrus should’ve been given the VP role. Yes, he said no, but it never should’ve been a question. The final pick, Luna Vargas, makes absolutely no sense. She’s pure? She’s willing to fight? We’ve literally never seen evidence of this. Does she have political experience? Frankie didn’t pick his wife to be VP, he picked Cyrus. I like that Cyrus got out of prison and was cleared of murder, but no one thought to tell him who actually did it until they were all locked in a room together. 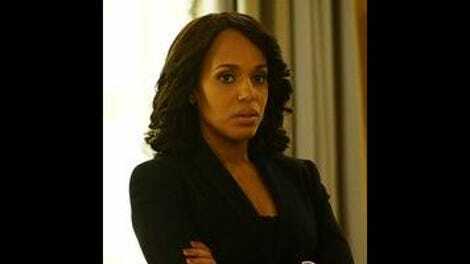 So, Olivia comes up with an entire plan to lockdown the White House, but didn’t come up with like…an agenda? or a single idea beyond “let’s just ask my Dad what we should do”? At this point, I want Eli Pope to be president because he was correct when he called everyone in the room worthless. We did NOT need that random David/Fitz pep talk! David has horrible taste in women. It does not matter if this evil blond woman deeply loves him, she’s evil. Just evil! No one watching was thinking, “Wow, I really hope we get closure over David’s romantic choices.” It was just so unnecessary. Olivia’s whole “Olivia takes you” speech probably would’ve been more powerful if we’d seen any evidence that the plan put in motion this episode actually worked. As far as we know, Olivia and everyone could be murdered as soon as they leave the White House for not following orders. The New Shadow Government is still too loosely defined for this “I won” speech to have any impact.